The S&P 500 increased 0.5 percent after inflation data signaled the Fed wont be compelled to raise interest rates. The S&P 500 increased 0.5 percent after inflation data signaled the Fed won’t be compelled to raise interest rates. (Bloomberg) — U.S. and European stocks rose as earnings from Daimler AG to Microsoft Corp. beat estimates. Emerging-market shares advanced to an 18-month high as Indonesia’s rupiah led gains among higher-yielding currencies. The Standard & Poor’s 500 Index increased 0.2 percent to a record 1,987.41 at 9:33 a.m. in New York. The Stoxx Europe 600 Index climbed 0.2 percent and the MSCI Emerging Markets Index rose 0.3 percent. The rupiah strengthened 0.7 percent against the dollar and Russia’s ruble gained 0.4 percent. The yield on 10-year Treasuries fell 1 basis point to 2.46 percent. Oil advanced 0.3 percent. Daimler, the world’s third-largest maker of luxury vehicles, said second-quarter profit climbed 12 percent, while Microsoft revenue and earnings topped forecasts. 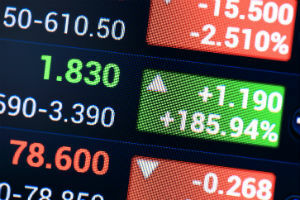 Boeing Co., Dow Chemical Co., PepsiCo Inc., Facebook Inc. and AT&T Inc. are among companies reporting today, with about 78 percent of U.S. companies that have posted results this earnings season beating analysts’ estimates. The European Union weighed limiting Russia’s access to capital markets as a train carrying bodies from flight MH17 arrived in Kharkiv, Ukraine. Profits at S&P 500 members probably rose 6.2 percent in the second quarter, while sales gained 3.3 percent, according to analyst estimates compiled by Bloomberg. Apple Inc. rose 0.8 percent even after reporting a drop in iPad demand and projecting third-quarter revenue below analysts’ predictions. Juniper Networks Inc. declined 9.2 percent as its estimates trailed expectations. Microsoft advanced 1.2 percent. The software maker said its purchase of Nokia Oyj’s mobile business dragged down fiscal profit, while it benefited from improving corporate demand for computers and software delivered over the Web. The S&P 500 increased 0.5 percent yesterday after inflation data signaled the Federal Reserve won’t be compelled to raise interest rates in the near future. Fed Chair Janet Yellen has said rates will stay low for a “considerable time” after the central bank stops its monthly bond purchases. It is on track to end them in October. The benchmark index has advanced 7.3 percent this year through yesterday amid better-than-estimated corporate earnings and central bank stimulus, as the U.S. economy shows signs of recovering from a 2.9 percent contraction in the first quarter. The Stoxx 600 rose after climbing 1.3 percent yesterday. Auto companies posted the biggest gain among 19 industry groups in the gauge, with Daimler adding 0.5 percent. Telenor ASA advanced 2.6 percent after the largest phone company in the Nordic region said it expects this year’s profit margin to improve from 2013. Akzo Nobel NV, Europe’s biggest paintmaker, rallied 5.3 percent. “Usually we have [much] lighter volume at this time of year and negative geopolitical news would drive the market down more than it has. But the economy is better fundamentally than most people think it is,” Kurt Cambier, senior partner at Littleton, Colorado-based Centennial Capital Partners, said in a phone interview. The Micex Index of Moscow shares dropped 0.5 percent after earlier rising as much as 1.1 percent. The ruble strengthened for a second day to 34.84 per dollar. The EU yesterday threatened to restrict Russia’s access to capital markets and sensitive energy and defense technologies unless President Vladimir Putin expedites a probe into the downing of the Malaysia Airlines plane over eastern Ukraine last week that killed all 298 on board. The arrival in the Ukrainian city of Kharkiv of a train carrying victims’ remains ended days of demands that pro-Russia rebels in the former Soviet republic release the bodies. Ukraine’s Defense Ministry said rebels in the eastern part of the country downed two government fighter jets. The Tadawul All Share Index gained 1.4 percent, extending yesterday’s 2.8 percent advance. The gauge has climbed to a six-year high since Saudi Arabia’s regulator said it will open up the stock market to international investors in the first half of 2015. El Al Israel Airlines jumped as much as 7.2 percent to 0.584 shekel, the biggest increase since March 31 after global airlines suspended flights to Tel Aviv because of rocket fire. The Israeli operator is still flying into the airport. The Hang Seng China Enterprises rose 2 percent today after a 2.4 percent surge yesterday. The Shanghai Composite Index increased 0.1 percent, while the Hang Seng Index added 0.8 percent in Hong Kong. Chinese banks will probably offer discounted mortgage rates to their clients in the second half of 2014 as demand in the country’s housing market weakens, according to 74 percent of analysts and economists in a Bloomberg News survey conducted from July 14 to July 17. The Jakarta Composite Index advanced 0.2 percent. The rupiah strengthened to 11,483 per dollar, the strongest level since May 20, before trading at 11,505. Jakarta Governor Joko Widodo won Indonesia’s presidential vote by more than six percentage points. His opponent, Prabowo Subianto, has said he will contest the election in the constitutional court. Prabowo, who was a general under the country’s former military dictator Suharto, has three days to file a case in court, the verdict of which is binding. The euro was little changed at $1.3465 after declining to $1.3455, the weakest since Nov. 21. The 18-nation shared currency dropped as much as 0.2 percent to 136.41 yen, the lowest since Feb. 4. Australia’s dollar strengthened to the highest level in almost two weeks after a government report showed annual inflation accelerated to the fastest pace in four years. Yields on German 10-year notes, Europe’s benchmark debt securities, fell two basis points to 1.15 percent. U.K. government bonds rose and the pound erased an intraday advance as investors pared bets on higher interest rates after the Bank of England released minutes of this month’s policy meeting. The 10-year yield fell four basis points to 2.55 percent as the minutes showed officials discussed whether wage growth, currently at the least since records began in 2001, should carry more emphasis in their deliberations. Sterling slipped 0.2 percent to $1.7033 after rising as much as 0.2 percent. Brent climbed 0.4 percent to $107.74 a barrel. U.K. natural gas rose 1.2 percent after earlier declining as much as 0.6 percent. Europe gets about a third of its natural gas from Russia, half of it through Ukraine. –With assistance from Adam Haigh in Sydney, Emma O’Brien in Wellington, Paul Dobson, Stephen Kirkland, Cecile Vannucci, Claudia Carpenter, Inyoung Hwang and Trista Kelley in London and Nick Gentle in Hong Kong.